The “Ring Cycle” is a “Gesamtkunstwerk,” in which music, drama, language, light, stage design, costumes and drawings all come into play, Freyer said Wednesday at a press conference held after a showcase performance at the Namsan Creative Center. “The piece is old yet it has qualities that continue to resonate in the present. I hope the work can spark questions and reflections in the audience,” Freyer continued. Freyer is an internationally renowned opera producer. He is also a set and costume designer, stage director and painter. The upcoming “Ring Cycle” is the third that Freyer has produced. In 2010, Freyer put on his avant-garde staging of Wagner’s “The Ring of the Nibelung” at the Dorothy Chandler Pavilion in Los Angeles. In 2013, Freyer presented yet another production of the Wagner’s work in Mannheim, Germany. The latest production is yet again a totally different interpretation of “Ring Cycle,” featuring extensive use of drawings by Freyer himself. It is expected to showcase a dazzling array of images, largely characterized by innocent and child-like qualities and flowery colors. 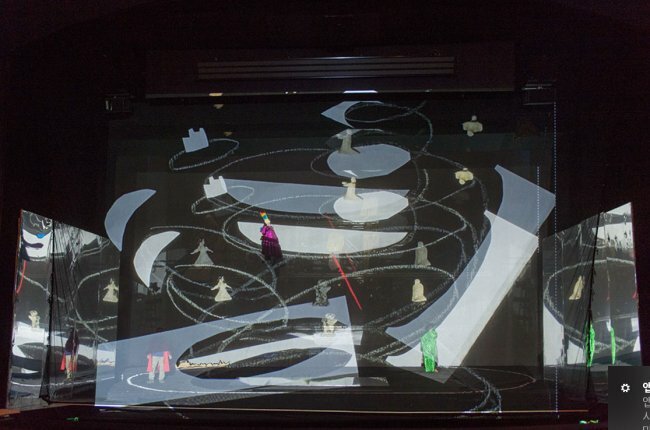 Around 500 computerized images of Freyer’s drawings will be projected on a screen in front of the stage. Sculpture works hung on steel framework on the backdrop, as well as other props and costumes used in the performance, are all based on Freyer’s drawings and ideas. To maximize visual effects, the stage will have two large mirrors on the sides. The Wagner score will be performed by a project orchestra of some 80 musicians from Korea. The orchestra members were given the music scores to practice some three months ago, and in the last month, they have been rehearsing together five days a week, led by conductor Matthias Fletzberger. The production has also invited six musicians, who are listed members of the festival orchestra of the Bayreuth Festival. In the meantime, singers have been practicing together for about a month at the Namsan Creative Center. The singers and Freyer’s team will wrap up practices this week before joining the project orchestra for final rehearsals in October, according to officials from the production company. “The written language of the Wagner piece is very poetic. It uses words that even native Germans would not recognize. The singers starring in this production have made a lot of efforts to deliver Wagner’s language intact,” said baritone Antonio Yang, who performs Wotan. For the Wotan role, Gerard Kim has also been selected. Oskar Hilebrant and Sergei Leiferkus will perform Alberich. “In Germany, they call the Wagner enthusiasts as ‘Wagnerianer,’ but I was surely not one of them. It takes time for one to like Wagner. I hope this Wagner production offers the local audience opportunities to befriend the composer,” Freyer said. 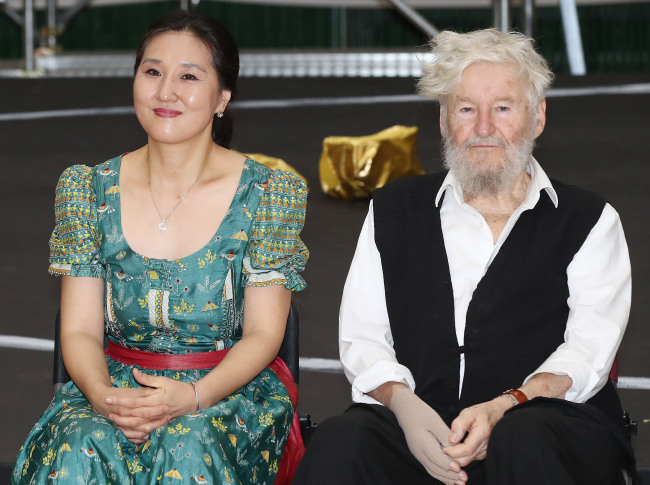 Freyer’s “Das Rheingold” will be staged from Nov. 14-18 at the Seoul Arts Center.